C. 1990. A breathtaking creation such as this vintage-inspired 4.51 ct. t.w. diamond ring is such an exciting Estate find! Modeled after grand jewels of days long past, this ring features a 4.38 carat round brilliant cut diamond centerpiece. The show-stopping treasure is attended by a retinue of round diamonds totaling .13 ct. which dance and sparkle along the textured and polished platinum band. Elegant and captivating, this fabulous ring seems destined for the royal court or the red carpet. 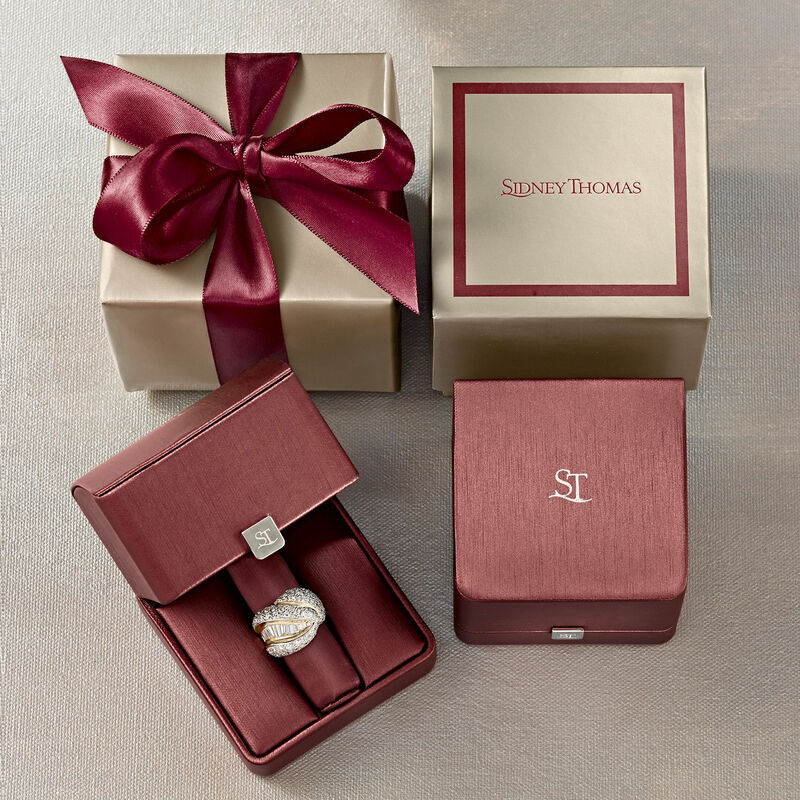 Ideal as an engagement ring...or as a very special gift to yourself. Diamond ring. Exclusive, one-of-a-kind Estate Jewelry.